HRE Flow Form Wheels available now at ModBargains! With almost 40 years of combined experience in the automotive wheel industry HRE was one of the first companies to really build the wheel industry. HRE offers the highest quality Forged and FlowForm wheels in the industry which we at ModBargains recommend whole heartedly. Their quality and service are top notch and we have had thousands of happy customers buying multiple sets of HRE because of their positive experience. The HRE name really stands for quality and commands respect throughout the industry. Flow Forming is a production procedure that turns the wheel (or rim section) over a special mandrel and three hydraulic rollers using tremendous pressure. The pressure and turning then force the rim area to form against the mandrel, creating the shape and width of the rim. During Flow Forming, the rim actually “flows” down to create the full rim width. The pressure applied to the cast rim actually changes its mechanical properties, so its strength and impact values become similar to those of a forged rim. That translates to up to 15% less weight when compared to a standard cast wheel. HRE FlowForm Wheels bring you the best of both worlds. With a massive allotment of in stock FlowForm wheels ready to ship in standard colors like Silver and Black you don't have to wait weeks or months for your wheel. Want to stand out ever more? HRE FlowForm also offers custom finishes on all of their wheels with a 4 week production time. HRE offers their wheels in the most popular widths, diameters, and offsets. They also do test fitments for most makes and models. Simply follow the fitment guides on our listings to find the perfect wheel for your vehicle. HRE FlowForm Wheels are backed by a limited lifetime structural warranty to the original retail purchaser. They also come with a 2 year finish warranty so you know that beatiful finish will look like new for a long time. 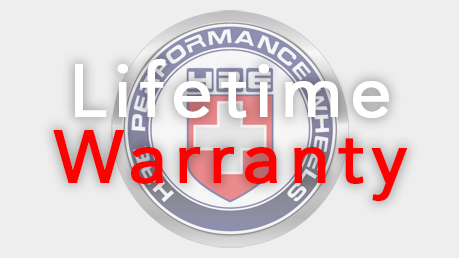 HRE is one of the most trusted names in the automotive aftermarket industry. Famous for their Quality and Service, you can with confidence knowing that HRE Wheels and ModBargains stand behind their products.